According to the Sydney Morning Herald, Harrison's blood has been used in every single dose of the Anti-D medication since 1967, and has saved more than 2.4 million babies throughout the last 50 years. Harrison's life was also saved by blood donors during heart surgery at age 13 and was the original reason he became a blood donor himself as soon as he was 18. Even with a fear of needles, Harrison committed to this lifesaving act since he had been a recipient of someone else's selfless act. 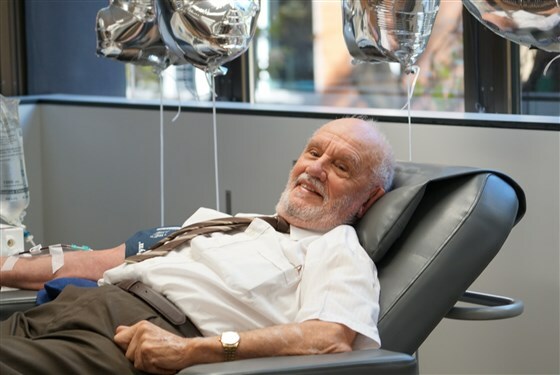 At age 81, Harrison has now reached the legally mandated cutoff age for giving blood in Australia. In honor of the countless lives he saved and in order to continue his legacy, we ask that you consider giving blood at your local blood donation center. And to you, James Harrison, we thank you!